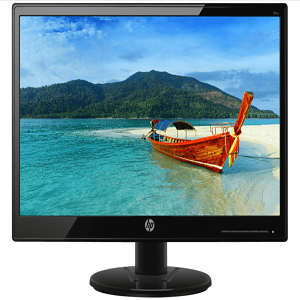 Buy HP 18.5 inch (46.9 cm) LED Monitor – HD, TN Panel with VGA Port – 19KA (Black) @ 21% Discount. With easy VGA connectivity, crisp contrast, and 1366×768 resolution, this display comes packed with what you need to enhance your content. Best Cheap Deals For HP Computer & Laptop Accessories, Grab Cheap HP 18.5 inch (46.9 cm) LED Monitor – HD, TN Panel with VGA Port – 19KA (Black) Online.